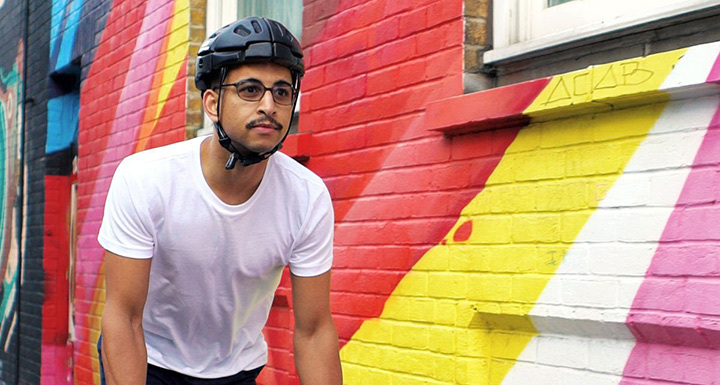 After facing a bicycle crash the British cyclist Jeffrey Woolf has worked so hard to create a better and more convenient helmet for the fellow cyclists. after five years he has finally achieved his goal with the Morpher Helmet. 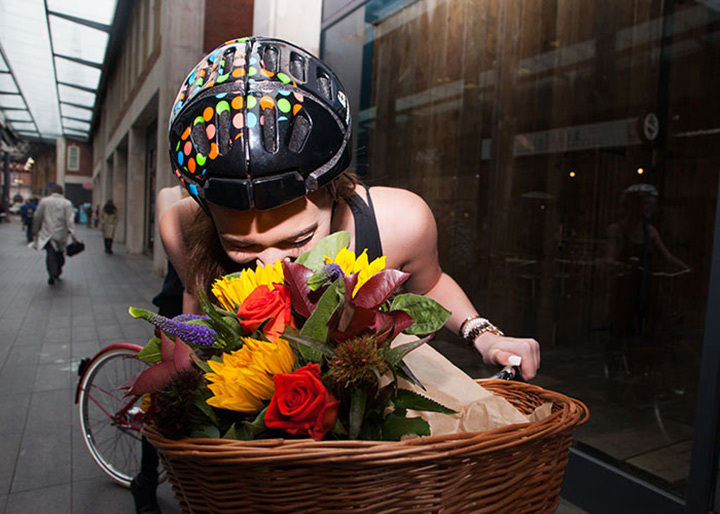 The specialty about this helmet is that it folds flat when not in use, Making it incredibly easy to carry around. 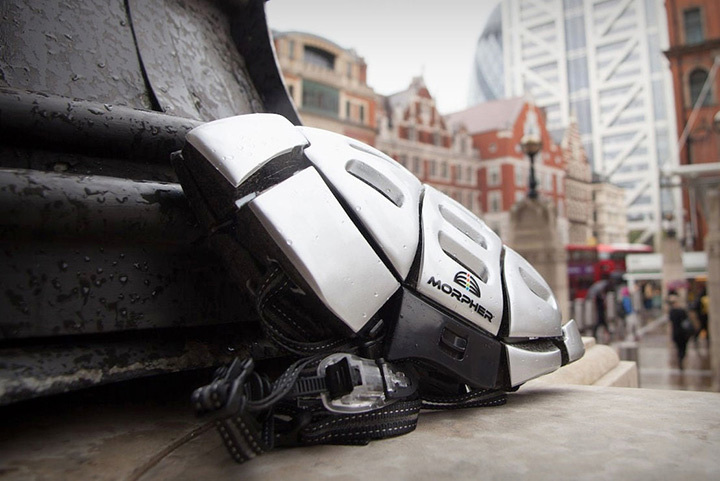 And when collapsed it’s way smaller than a traditional non-folding helmet measuring just 2.5 inches thickness. 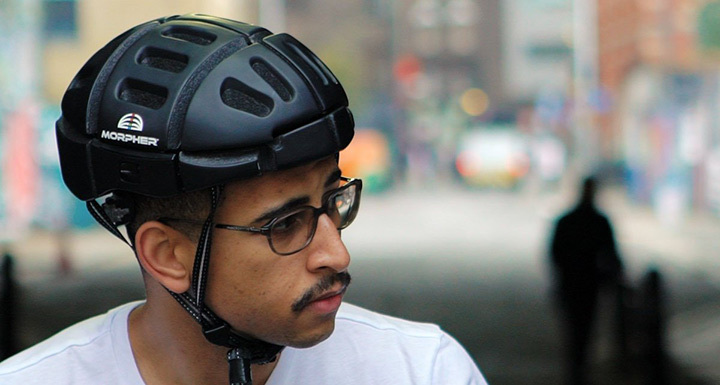 Made from expanded polystyrene, It is just as safe as an old style rigid helmet and has passed all relevant safety criteria. Being ultra-portable and lightweight it can fit into almost any storage space.